A dental x-ray machine is an invaluable tool in veterinary dentistry. Can you imagine going to a human dentist that didn't have a dental x-ray machine. Without dental radiographs (x-rays) numerous problems below the gum line would go undiagnosed. Not only is pathology missed without dental radiographs, but it is impossible to properly treat and manage many dental problems. Our patients usually do not complain about pain in their mouth. They may live their entire life suffering with oral pain. It is up to use dental radiography to find these hidden problems. In one published report, intraoral radiographs revealed clinically important pathology in 27.8% of dogs and 41.7% of cats when no abnormal findings were noted on the initial examination.1In patients with abnormal findings, radiography revealed additional pathology in 50% of dogs and 53.9% of cats.1 1. Verstraete FJ, Kass PH, Terpak CH. 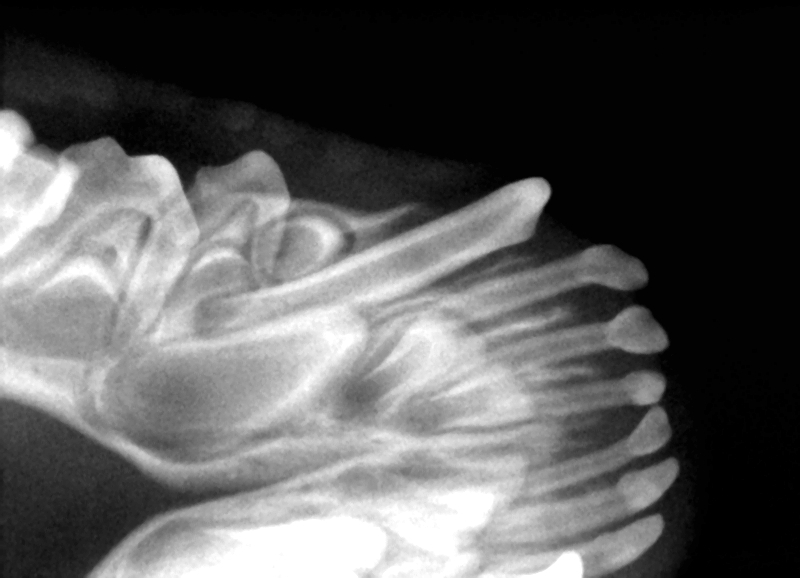 Diagnostic value of full-mouthradiography in cats. Am J Vet Res 1998;59(6):692–5.